"A Quick Reference Guide for Law Competitions is a must-have book for students preparing for various Law competitions. All the parts have a specific orientation but are very important for a law student. 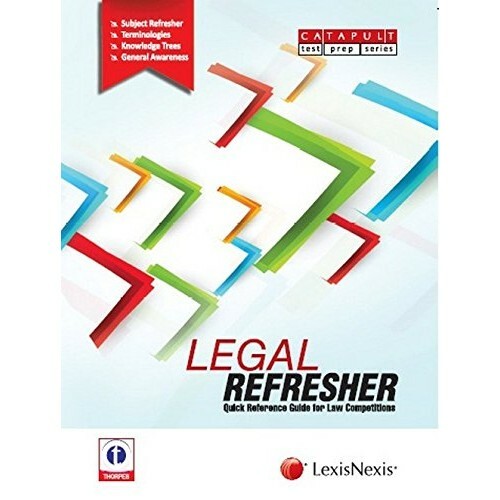 The Subject Refresher part has reference tools such as ‘Knowledge Trees-Important Topics’, ‘Important Distinctions-Contextual variations’ and ‘List of Important Cases’. The Terminologies part has a compendium of short-notes on important terms and some vital lists on Maxims and Abbreviations which students will find very useful. The General and Basic Information part is more academic in nature. It has quick notes on some very essential topics related to Judiciary and Legal awareness, and the Constitution of India. The final part, Multiple Choice Questions, has a bank on MCQs where we have provided the two forms of MCQs frequently asked in the law competitions."